Tanjung Tualang Tin Dredge is a unique relic from Malaysia’s tin mining heydays. A tin dredge is like a floating factory. This one, named Tanjung Tualang Dredge No. 5, or TT5, weighs 4,500 tons and is supported by a pontoon of 75 meters in length, 35 meters in width and 3 meters in depth. It was built in England in 1938 by F.W.Payne & Son which, at that time, was a major design engineering company in bucketline dredges. Tin dredges work by scooping up bucket loads of tin-bearing soil at the front end, which then passes through an oscillating drum and a system of jigs and screens to extract the tin, before spewing out the waste material at the rear end through a number of chutes. 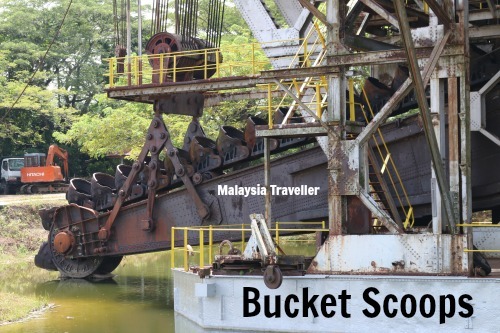 This dredge was built for the Southern Malayan Tin Dredging Ltd, a company formed in 1926 which operated a further 5 dredges in the Batu Gajah and Tanjung Tualang area. 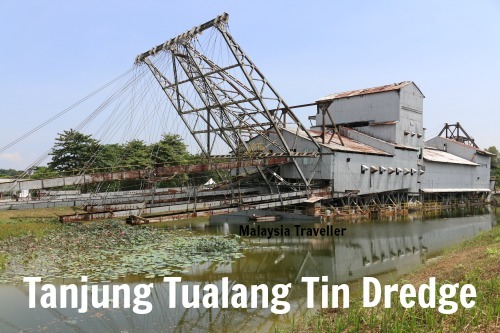 TT5 was in operation for 44 years until 1982 by which time the Malaysian tin industry was in rapid decline due to a combination of exhausted tin deposits, low tin prices and high operating costs. After1982 the dredge fell on hard times. All the other dredges in the area were disposed of long ago and this last remaining example was in danger of being of being sold off for its high scrap metal value until heritage-loving individuals launched a “Save the Dredge” campaign. Fortunately that campaign was successful and the dredge has been preserved and restored. 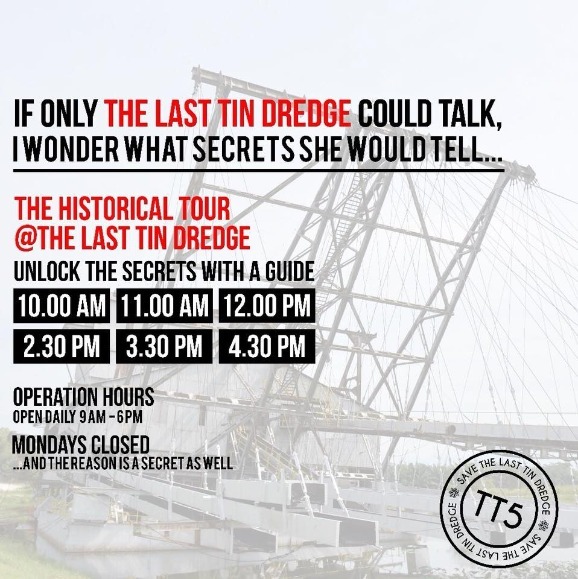 After some delays it is finally open to the public and visitors can now take guided historical tours of the last tin dredge. In addition to tours of the dredge, visitors can enjoy Panning Experience, Self Tour TT5, Santai Bazaar@TT5 and other activities. Open everyday except Monday from 9am to 6pm, lunch break 1pm - 2.30pm. Guided Tin Dredge Tours start at 10am, 11am, 12 noon, 2.30pm, 3.30pm and 4.30pm. Children 7 and below are free. I marked the exact location on the map on my Top Perak Attractions page. 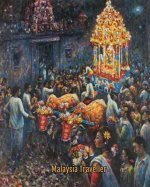 There are plenty of hotels in nearby Ipoh and Kampar. 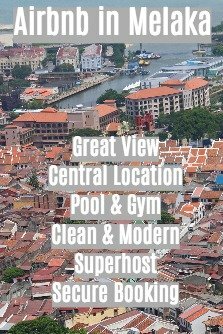 To search for available accommodation at discounted rates just click on the Agoda advert below.